- The Guest Mode feature has replaced the Favorites feature. - The WALKMAN app has replaced the Music Player app. - The Movies app has replaced the Video Player app. - The Album app has been added. 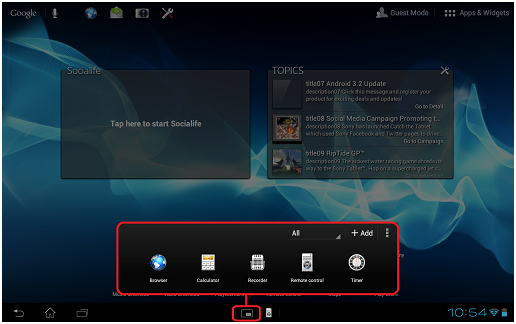 - The Remote Control app has been enhanced to include more features. 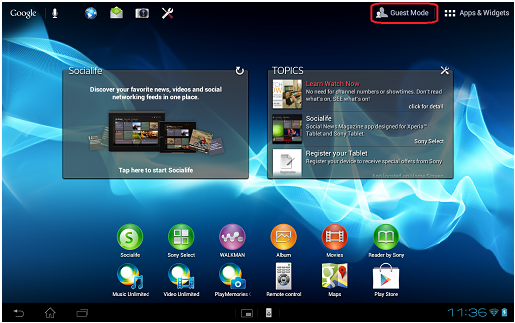 - The Socialife app has replaced the Social Feed Reader app. - There has been an extension of the Copy and Paste feature to additional applications. - The DLNA app has been removed, but the DLNA Throw feature is now available from within the Movies and Album apps, or the WALKMAN app. 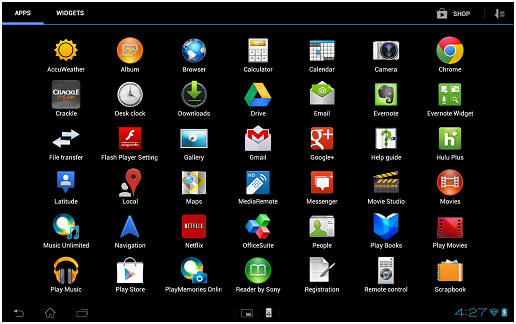 - There are new Icons for nearly all of the Apps that came with the tablet, and the Apps Tray has a new black background to replace the old white background. 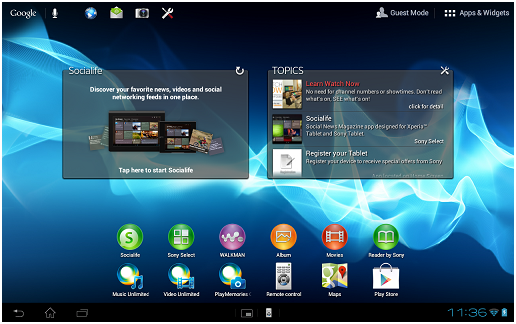 - There is a new look and feel to the tablet interface, with new background wallpapers and new large widget on some of the desktop screens. SongPal installation for smartphone with Android OS version older than 4.0.3.